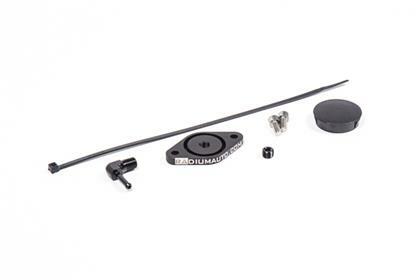 This kit is specifically for the 2013+ Ford Focus ST. It is designed to replace the OEM sound symposer system which plumbs engine sounds into the cabin. Once engine modifications are made to these vehicles, the symposer quickly becomes useless. The Radium Engineering delete kit frees up space and installs in minutes. No cutting or drilling is required. A couple of wrenches is all that is needed. 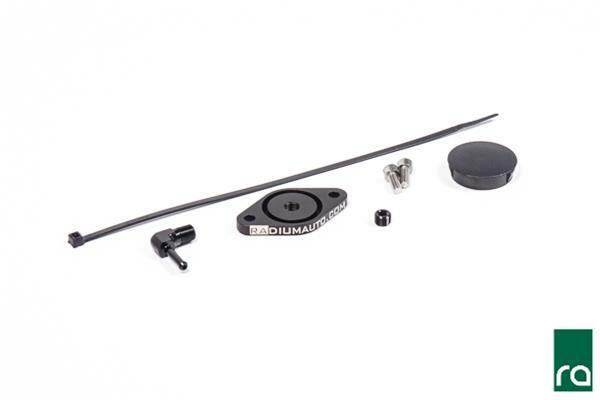 The kit includes two black anodized fittings providing the end user an option to either plug the machined 1/8” NPT hole or to add a vacuum reference for any auxiliary components.